The famous UK retailer with its flagship London stores also offers an online shopping site with articles for homes and gardens, furniture, fashion clothing, electronics, flowers, books and many more products for the whole family. John Lewis has been voted top electrical retailer at the Verdict Customer satisfaction awards 2013. John Lewis is ranked number one in the 2013 Nunwood Centre of Customer Experience Excellence Top 10. John Lewis is ranked #69 for retail sales in the 2013 Top 250 Global Retailers list published in the January 2014 issue of STORES magazine. John Lewis are the winners of The nasa Marketing/ Advertising Campaign of the Year and Multichannel Retailer of the Year in the Oracle Retail Week Awards 2014. John Lewis was ranked in the top 5 best brands for customer service in a Which? survey of UK consumers dated September 2013. John Lewis has won the award for Best Customer Service Experience at The 2014 Conlumino Future Retail Strategies Congress. John Lewis was also named the Nation's Favourite Retailer Overall by a consumer panel. John Lewis are in the top 3 UK Customer Experience Champions 2014 in the research conducted by Nunwood's Excellence Centre. John Lewis was ranked first for ‘Best In-Store Experience’, ‘Best Electricals Retailer', and ‘Best Click & Collect Retailer’ in the 2016 Verdict Customers Satisfaction awards. John Lewis is included in the Top 10 Consumer Brands of 2017 as measured by Superbrands UK and in the Top 10 of YouGov BrandIndex’s UK 2016 Mid-year rankings. John Lewis have come first for The Customer Technology Innovation of the Year at the Retail Week Awards 2017. John Lewis has won Best Multichannel Retailer at the 2018 GlobalData Customer Satisfaction awards. 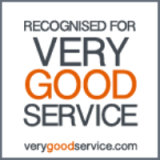 Award-winning online shopping site recognised many times over the past few years for the quality of its customer service. Best sellers list on display. Amazon.com is ranked number 1 in MSN Money's 2013 Customer Service Hall of Fame highlighting 10 companies most often rated as "excellent" for customer service in their annual survey. Amazon.co.uk achieved the highest score in the ForeSee Customer Satisfaction Scores for the Top 40 Retail Websites in the UK in 2011, 2012 and 2013. Amazon.com was included in the Top 20 of 2013 Temkin Customer Service Ratings based on feedback gathered from consumers. Amazon UK is the winner of the title for the Nation's Favourite Online Retailer OVERALL in the Conlumino Customer Satisfaction Awards 2014. Amazon is included amongst the top 10 best companies for customer service 2014 list of 100 major companies rated in the Which? customer service poll. Amazon has been voted number one for customer satisfaction in the top 10 of the UK Customer Satisfaction Index (UKCSI) - January 2017. Amazon.co.uk have won the UKCSI Award Best in UK at the UK Customer Satisfaction Awards 2017. Amazon.co.uk has won Best in UK title at the The UK Customer Satisfaction Awards 2018. Amazon has won Best Retailer, Best Online Pureplay and Best Electricals Retailer at the 2018 GlobalData Customer Satisfaction awards. Winner - Corporate Social Responsibility - Project Ocean - Walpole Awards for Excellence 2011. Sefridges was ranked in the top 3 of The 100 best shops in London - list by Time Out 2011. Best Children's Department - Junior Design Awards 2012. Selfridges is ranked #14 in the top 20 CoolBrands 2012/2013. Selfridges is included in ELLE's Guide to the Best Online Shopping Sites 2013 which features a selection of their top 20 websites. Selfridges Birmingham is included in Vogue's Best 100 Shops Outside London 2013. Selfridges is included in the top 20 overall and top 10 of retail in the 2013 Social Brands 100. Established in the 1990s, Planet X designs and sells high performance bikes and has become one of the largest bike builder in the UK. Planet X's Pickenflick has been awarded Road.C.C. 'Bike of The Year' in the Adventure / Gravel category for 2014/2015. Planet X scooped the award for "Triathlon Distributor of the Year 2009" at the 220 Awards. As at January 2017, Prezzybox enjoys a score of 4.3 out of 5 (measured by reviews.co.uk) from customers who have an online shopping experience with them. Marks & Spencer is a high Street retailer offering online one stop shopping for food, clothing, homeware, fashion and children products throughout the UK via home delivery service or store collection. Marks & Spencer is a finalist for Customer Satisfaction Innovation of the Year in the UK Customer Satisfaction Awards 2014. Best Multi-channel Service was won by Marks and Spencer at the Golden Chariot Awards 2014. M&S have come top for Best Customer Service in The 2013 High Street Style Awards voted by the readers of U magazine. Marks & Spencer was ranked first in the Foresee 2013 Customer Satisfaction for the Top 10 UK retail mobile sites. Based on YouGov BrandIndex’s Buzz metric, M&S is included in the Top 10 UK Brands for 2015.
eBay is the world's largest online shopping marketplace, providing a website where individual customers and companies can buy and sell a very wide range of products. The UK website offers a daily range of special deals. eBay has won the Operational Excellence Award at the Technology Business Management (TBM) Council Awards 2013.
eBay Marketplaces customer service center in Shanghai has been awarded Best Customer Contact Center of 2013 in China by the China Call Center and BPO Association. Ebay were declared winner of the M-Retailing Award at the 2013 Internet Retailing Awards. The Fetch eBay campaign for Christmas 2012 has won Best Mobile Advertising Campaign at the 2013 Mobile Retail Awards. Ebuyer nominated as retailer of the year for Stuff magazine’s Gadget Awards 2011. Ebuyer have been named The Specialist Retailer of the Year at the PCR Awards 2013. Ebuyer.com have won the PCR 2015 Online Retailer Award. High street retailer offering a broad range of online shopping with exclusive fashion labels including own brand Designers at Debenhams, International brands and concessions, and products for your home. Debenhams is listed in the top 50 in the Social Brands 100 list for 2013 and ranked first for Twitter platform. Debenhams has won the Overall Achievement – Mobile at the Online Retail Awards 2013. Asda offers an online supermarket shopping website including Groceries, Entertainment, Electricals, Furniture, Flowers, George and more. Goods ordered through the website are delivered to your door. Winner of Best National Retailer Award 2009 - World Food Awards 2009 ; also included on the shortlist for Humza Best National Retailer - The World Food Awards 2010. Winner - George @ Asda - Supermarket range, Casual clothes and Children's clothes categories - The Comfort Prima High Street Fashion Awards 2010; and Highly Commended for the best customer service category. Winner - Britain's Favourite Supermarket - The Grocer Gold Awards 2011. Finalists - Mystery Shoppers customer commitment award - The UK Customer Satisfaction Awards 2012. Top ranked for Personal care - Verdict Consumer Satisfaction Index 2012. Most improved call centre in the Top 50 Call Centres For Customer Service 2010. Asda was named Best in the retail sector in the 2012's Top 50 Call Centres for Customer Service. Asda is one of the finalists for the Customer Satisfaction Innovation of the Year Award - UK Customer Satisfaction Awards 2013. Asda is one of the two finalists for Responsible/Sustainable Retailer of the Year in the Harpers Awards 2013. Asda is ranked #5 in the list of Top 100 high street shops rated by their customers as published by Which? in May 2013. Asda was named Britain's Favourite Supermarket at the Grocer Gold Awards 2013. Asda Stores have been named amongst the finalists for Best Large Retailer at The eCommerce Awards for Excellence 2013 which is organised in association with IMRG, the UK’s industry association for online retail. Asda is listed in the Top 50 Companies for Customer Service in 2013 organised by UBM Live and leads the Best in Retail and Best Medium Centre categories. A unique experience from one of London's most famous shopping destination, Liberty are one of the preferred platform for avant garde articles, design, accessories, beauty and gifts. Liberty's iconic store is located at the heart of London shopping district close to Regent Street and Oxford Street. Many products are also available online. Liberty is the winner of The Tea Guild Award of Excellence 2009. Liberty has been named one of the winners of Handbag.com Online Fashion Award 2009.